Will 2019 really be the end of misogynistic adverts? Following a nearly two-year long review by the Advertising Standards Authority (ASA), the Committee of Advertising Practice (CAP) has finally decided to implement new rules that will ban harmful gender stereotypes in adverts in the UK as of June 2019. For decades, the advertising industry has been susceptible to using crude means of targeting large audiences. Most people will recall seeing ‘vintage’ adverts that would now be considered inappropriate – but you really don’t have to go that far back , take Iceland’s rejuvenation of the now infamous tagline ‘That’s why mums go to Iceland’ in 2014. Whilst there is nothing wrong with ads featuring individuals carrying out day-to-day tasks,, the real problem arises when adverts feature an unnecessary exclusivity of roles. For example, a regular advert portraying a woman cleaning or cooking would not set off much discussion. However, if said female were to clean and cook whilst a man was sitting with his feet up and drinking a beer, then quite rightly that would stir up a debate across the news, social media and online forums. 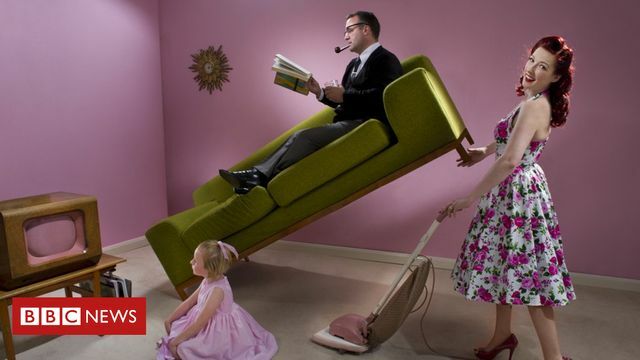 These are the adverts that suggest that men are above household chores, thus normalising what CAP is describing as “harmful” gender stereotypes. Similarly, a recent Gap advert caused much turmoil as it portrayed a boy growing to become an academic and a girl growing to be a ‘social butterfly’. As young adults are bombarded with these types of stereotypical advertorial content, they feel inadequate for certain jobs or industries. So what can brands and agencies do? Ditch the personas. Put simply, audiences are three dimensional, you can’t get an accurate picture by age or gender. Today there’s huge amounts of data available online that can give brands and agencies very accurate information about who is buying their products and what decisions they should be making around inventory, design and what to carry for the next year. Research shows that the public appreciates advertising that takes a progressive stance. Advertising might never be completely free of controversy, but the time has finally come to ditch personas. The review found that "harmful stereotypes can restrict the choices, aspirations and opportunities of children, young people and adults" and that these stereotypes can be "reinforced by some advertising, which plays a part in unequal gender outcomes". Will Instagram’s instant checkout win back DTC brands?